Carrie is a small dark brown hinny, born on May 14, 2017. 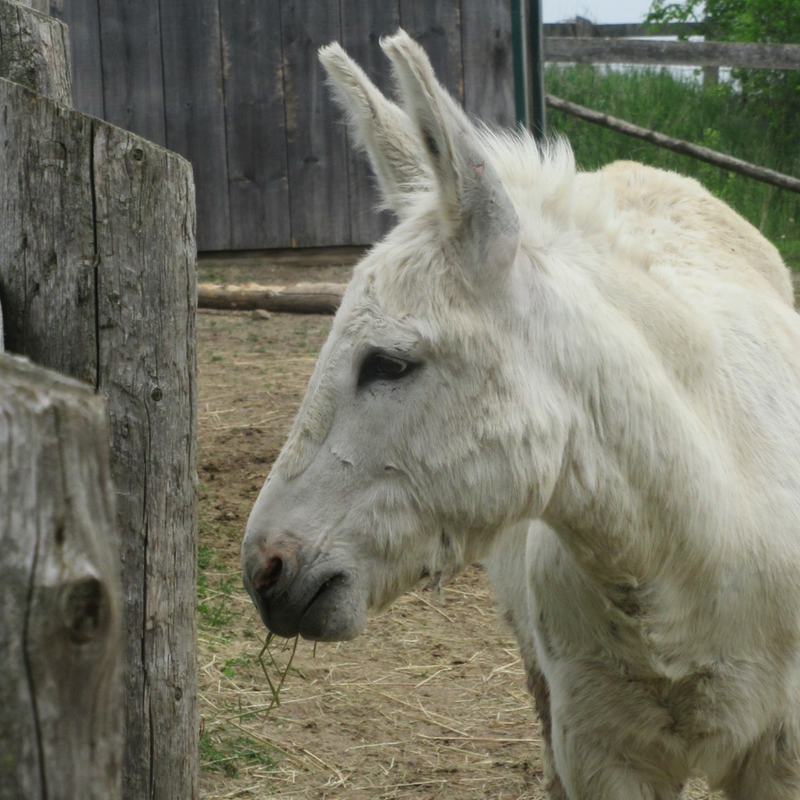 Carrie is only the second hinny currently residing at the Donkey Sanctuary of Canada (DSC). A hinny has a donkey mother and a horse father, opposite to a mule, that has a horse mother and a donkey father. Before coming to the DSC, Carrie and her mom Chloe lived on a farm in Western Ontario. 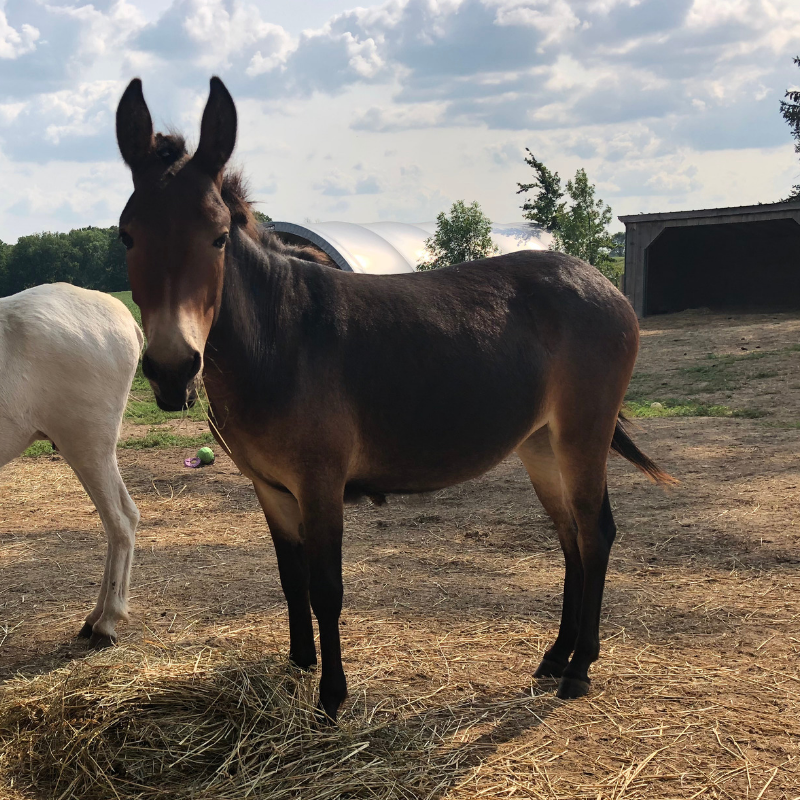 When the farm was sold, the new owner decided to keep all the animals as well, but they soon realized that they did not have the time to give Carrie and Chloe the needed training, attention and care.